Universal has won a four-studio bidding war to pick up the film rights to the classic Atari video game “Asteroids.” Matthew Lopez will write the script for the feature adaptation, which will be produced by Lorenzo di Bonaventura. 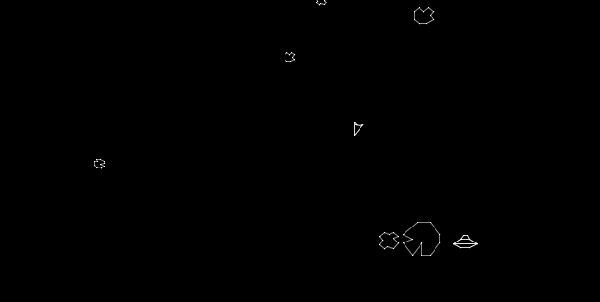 In “Asteroids,” initially released as an arcade game in 1979, a player controlled a triangular space ship in an asteroid field. The object was to shoot and destroy the hulking masses of rock and the occasional flying saucer while avoiding smashing into both. Senior vp of production Jeff Kirschenbaum will oversee the project for Universal. Di Bonaventura’s next outing is “G.I. Joe: The Rise of Cobra,” which Paramount is set to open Aug. 7. Lopez came out of Disney’s writing program and worked on that studio’s recent movies “Bedtime Stories” and “Race to Witch Mountain.” He also wrote the most recent draft of “The Sorcerer’s Apprentice,” currently in production with Nicolas Cage and Jay Baruchel starring. Lopez and Atari are repped by ICM.